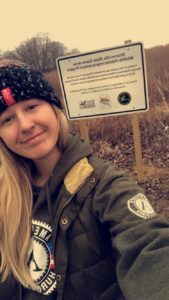 See what our Huron Pines AmeriCorps member has been up to? This week marks my fourth month serving here with MUCC. My service term ends this November and time is moving too fast. When I look back at all that I have down thus far, it amazes me. My expectations have been met and exceeded. I appreciate the positions diversity, just this morning I was bucking a tree, this afternoon I am in the office writing to you. Please read along as I continue to brag about Huron Pines AmeriCorps and my service term with MUCC. My time with MUCC has been productive and influential. To start, I was given many certification opportunities. I am pesticide certified, first aid certified, on track to get an outdoor educator certification, be wildland firefighting certified and I received and certificate of completion in chainsaw safety. A lot of my time is spent serving for the OTG program. This program, in my opinion, is very proactive. It unites a wide demographic of volunteers, impacts hundreds of acres of public land and benefits wildlife populations. I am thankful to be serving for such a program, I have learned so much from it and I know I will continue to learn as my term continues. I have also been active in MUCCs education world through writing for the TRACKS magazine and giving education presentation. Morgan Warda, the wildlife cooperative coordinator, has involved me in helping plan one of their biggest events of the year. Outside of MUCC, I have been uniting with other HPA members, attending training events and volunteering for the community. There are many other AmeriCorps programs in the Lansing area, in February I gathered to eat lunch with other local members to share about our programs. Just two weeks ago, I and four other HPA members attended MUCC’s chainsaw safety training. We were all navies sawyers and it was fun getting to share our experience together. 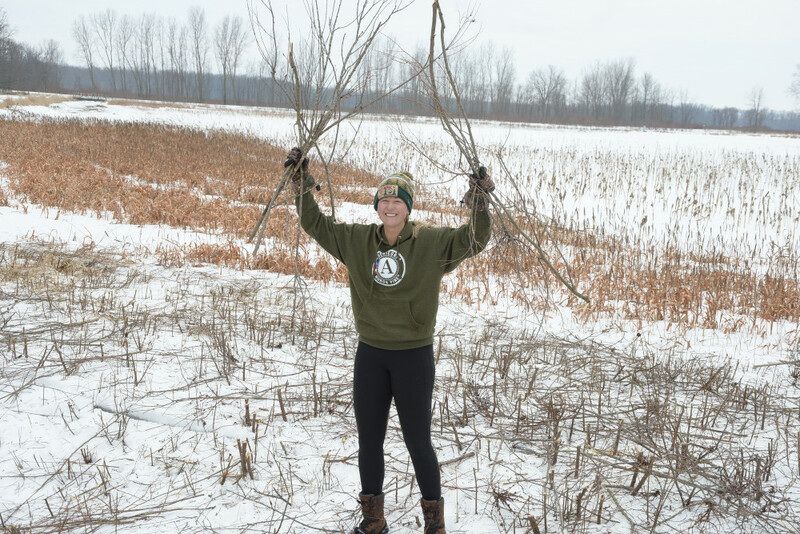 The Huron Pines AmeriCorps program is designed for growth; they want each of their members to be able to leave the program confident that they have gained from it when moving forward with their conservation career. The HPA coordinator invitees us to member training events throughout our service term. At the last training, we learned how to effectively give a presentation and how to find a problem first when looking for a solution. This was very beneficial because it is so important to give off the right message within our field and be able to analyze a whole problem before diving into a solution. I am looking forward to the remainder of my service. If you are curious about who Huron Pines is or AmeriCorps or have any questions about my position as a member, you can email me at americorps@mucc.org or call 517-346-6493.